His stature is such that there aren’t many places Leonard Adams can wander in the Central Area of Long Beach where he isn’t instantly recognized. 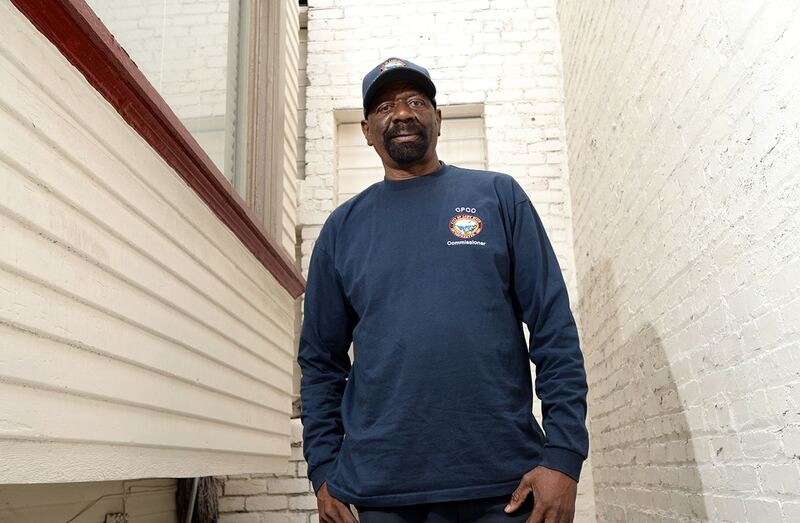 Being 6-foot-5 helps, but Adams is as known for his activism as his physical presence, having been a staple in the neighborhood since he moved there from Compton in 1973. “When I go places with my wife, she says ‘Everyone knows you,’” Adams says. It’s easy enough to see why. Since moving to Long Beach, Adams has always been involved in some sort of civic activity. Beneath his big, seemingly intimidating exterior, he is actually very sensitive and compassionate, and that is the side of him that comes out when he is reaching out to the less fortunate. Whether helping homeless vets, mentoring young fathers, counseling gang members or serving on the city’s Citizen Police Complaint Commission—he is the Sixth District representative—Adams could always be found doing his part and then some. Friend and fellow activist Erroll Parker calls Adams “a guy who genuinely cares about others,” and said he has met few who can match Adams in ministering to the disadvantaged. Adams seems as at home with city and community leaders in a meeting room as he is with kids on a street corner. At community functions, he’ll often sprawl low in a chair and quietly observe the goings-on before engaging. When he speaks in his bass voice it is slow, deliberate and serious, but generally commands attention. He carefully parses his words and tries not to offend. At the time of his retirement, Adams planned to relax and spend his time watching grandson Adolfo Thomas play basketball for Poly High. But it didn’t stick. Although Adams still organizes his week to get out to Poly games, he is also back into volunteering and activism. He is also assistant director of Developing Future Leaders, a group that provides free art, music and after-school activities for kids as well as backpack, Christmas toy and food giveaways. He works with Long Beach Advocates for Change, the annual Martin Luther King Jr. Parade and Celebration, where he has been a grand marshal three times. And he still works part-time. That’s what retirement looks like to a guy like Adams. Adams came to his activism from growing up in segregated and racist times in Alabama. He remembers being chased by white men while trying to register blacks to vote in his hometown of Mt. Vernon, Alabama in the 1960s. He remembers having to run into the woods to elude his pursuers. He recalls the first time his mother went to vote, returning from a polling place with dog bite marks. He attended a segregated high school and was pelted with rocks if he went through white neighborhoods on his scooter. He said it was from working with a blind activist named Monroe Bishop, that his eyes were opened to racial injustice. Despite his segregated South roots he seems to harbor no grudges. He is neither a firebrand nor an apologist, rather, he is known for working diligently with others regardless of race. 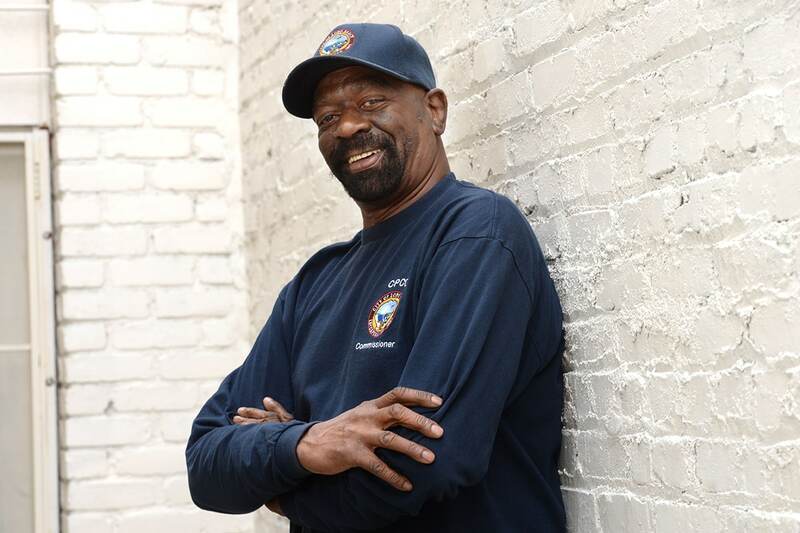 Most of the adults who grew up in Long Beach’s Sixth District in the last 45 years know Adams either as a playground supervisor and referee at Martin Luther King Jr. Park, or as a volunteer for the Boys and Girls Club. For years, he has worked on the streets as an outreach worker with the now-defunct Role of Men, which helped young fathers develop parenting and life skills. “I think that’s the most outstanding work he did,” Parker said. Adams was particularly proud of his work with the homeless as an outreach specialist, particularly with veterans. “As you help the veterans you really feel what they’re going through,” he said. Through his work with the homeless, Adams gained some notice for helping several celebrated clients. One was Claudius Linton, a former reggae musician from the Trench Town section of Kingston, Jamaica, and a contemporary of Bob Marley. Adams helped Linton with housing and even got him back on stage to perform a few last times before Linton passed away from illness. Another client was Doris Payne, a notorious jewel thief with a 70-year criminal career, who drifted through Long Beach in 2015. Adams helped her find temporary shelter at the Colonial Motel, before Payne moved on with her life of crimes and misdemeanors. Andrews is particularly impressed with Adams’ work with the homeless. Adams said his work for the Midnight Madness basketball program from 1995-2009, where the gym at McBride Park became neutral ground for members of various Crips and Bloods factions, was pivotal. “That taught me a lot about humans, as we embarked on trying to turn gang bangers into solid citizens through basketball,” he said.